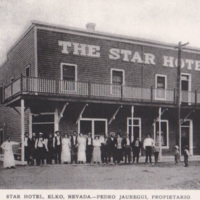 Black-and-white photograph of the Telescope Hotel and Bowling Lanes in Elko, NV, one of the Basque boarding houses. 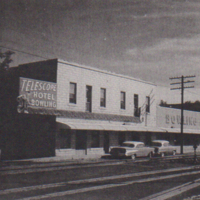 The photo is from the late 1950s. 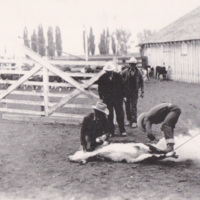 Black and white photo of a calf being branded. Marked on back "HB Ranch" - no date. 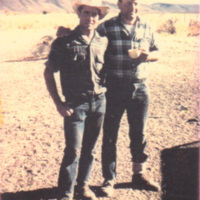 Color photo of Ramon (left) and Jame (right) Zugazaga, herders for the Jess Goicoechea Ranch, in the 1960s.